blurbs with little or no supporting evidence. To alleviate the social, economical and environmental problems with the rapid population increase, in 1979 China adopted a one child policy. Though it is much relaxed and with many loop holes at present, much of the mid class economical family still abide by it. Wikipedia has an excellent read about the One Child Policy. I want to talk more about the educational, specifically foreign educational impact this has done related to 4-2-1 problem. As the first generation of law-enforced only-children came of age for becoming parents themselves, one adult child was left with having to provide support for his or her two parents and four grandparents. Called the “4-2-1 Problem”, this leaves the older generations with increased chances of dependency on retirement funds or charity in order to receive support. If personal savings, pensions, or state welfare fail, most senior citizens would be left entirely dependent upon their very small family or neighbours for assistance. Presently, however, couples are allowed to have two children if both parents were only children themselves. But there is a huge population with 4-2-1 problem. I met few Chinese graduates in USA, who were part of this 4-2-1 cycle. These acquaintances, might not be from the rich suburbs of big developed cities in China. The 4-2-1 problem however, came out to be an economical and educational benefit for the locals. As the only child, most of them wanted to go back to China and support their parents and grandparents, instead living in United States. Three out of four, wanted to go back after studying in USA. Now this whole One Child Policy is not something I would support as national forceful rule/regulation. But, somehow, the third generations, the Ones in Four-Two-One, tend to go back to support their family. A close knit family benefits, and so does the local community/government and as a result the nation in the long run. Statistically put, I need 4-2-1 family numbers in China, and then those from these family who are studying abroad and have gone back, or are willing to go back. I hope this be a huge number, enough to make a dent in Nation’s economy. Sadly, am still learning, and could not find any exclusive paper through superficial Internet Search. Comparing it to Nepal – how can we pull back the emigrated drove? With somewhat close knit joint family culture in Nepal, we stand to gain something similar from both educational and non-educational emigrations. Hordes of Nepali, friends and family alike, that I know have expressed their desires to go back, if situations were better. Instead of Nepal which has been a close country up until the early 90s, this is more comparable to India/Pakistan and other SAARC nations, who were under the British rule and have a long history of foreign education and foreign cultural influences on similar (like Nepal) culture. I myself, hope to go back in full swing after my education is complete. Here are few points that, according to me brings back a person back to Nepal, from a more developed nation. Family – close family, far family, huge family. Nativity – language, culture, and food. Work Opportunities – definitely for me, in public health, medicine and research. Disclosure – One Child policy has both some good and more bad implications. iO9 has a good read – The Unintended Consequences Of China’s One-child Policy where the author even talks about the little emperors, or we call it in Nepali – pulpuleko bachha. Aakarpost this week has a list of News Applications for Android OS pertaining to the Nepali geography. This was my tech post for next week, as a personal research. I am very thankful now, and am sharing the post link [5 Best News Apps from Nepal..]. I do not have an Android device, I use – Bluestacks. Below are my wish list Nepali Apps in mobile platform. Obviously with no In-App advertisements. Nepali News App – more like news aggregator. Nepali Keyboard – both Romanized and Devnagari Traditional. Weather App – Not in English, but in Nepali. This will be an ongoing topic for me, for few weeks. I write this as to identify important social and economical role of women in Nepali culture, at least in Urban Nepal. Here is a list of few occupations where women have excelled and are forming a core group of economical stabilizers in Urban Nepal – mostly in Kathmandu. These are my first thought, and much digging still remains / something I am currently writing about for next week. Way back in early 2000 with Windows NT/2000, Microsoft began converging its personal and professional operating system. 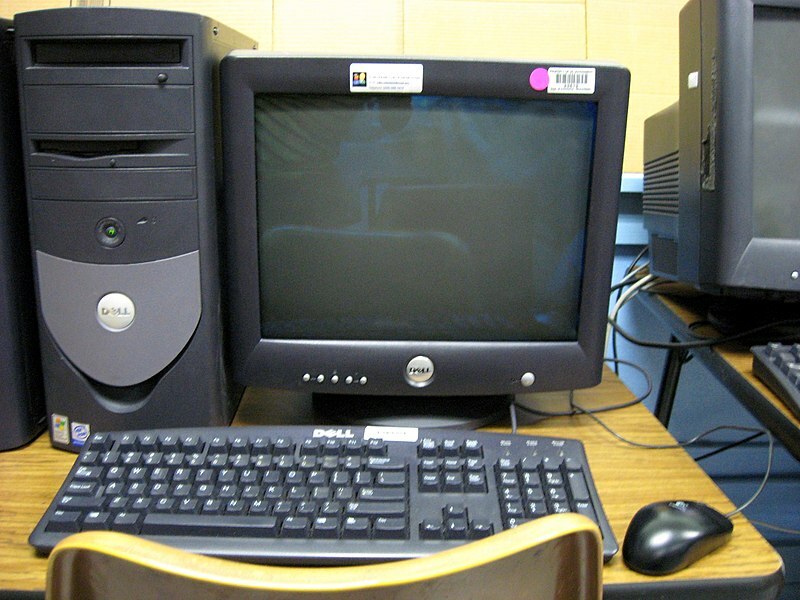 It was the first successful convergence of two different (back then) – personal and professional desktop experience. With Windows XP Operating System, Microsoft successfully converged Windows NT 5.1 kernel with 95/98/Me line and further solidified the lead. It was no more a home desktop operating system, and could now spread to all possible direction – from Office automation, to ATMs, to factories and many government base throughout the world. It became first (as I want to believe) global system to penetrate both personal and professional space. Sure there were alternate, but XP had more reach. It was both luck and time that made this convergence work. ArsTechnica has an excellent read on the Ten years of Windows XP here (by Peter Bright). It simply worked. Mid 2000 was the era when computers were mostly grounded. For a person (me) from developing nation like Nepal, a computer was a heat emitting plastic box with a keyboard, a mouse, and 19 inch monitor with a big behind. I was running Intel Pentium 4 (1.7 GHz) with 2 gb RAM, and 80 GB HDD computer. Life was simple, when the my desktop activities were limited to – word processing, Need for Speed 5, Age of Empires II and simple photo editing. I had one email address from Yahoo, and used my smartphone (for then) to make multiple miss calls and 10 seconds phone calls, and SMS. 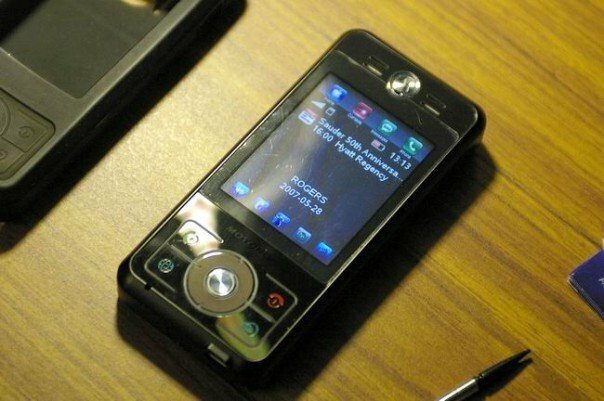 In 2007, my smartphone in hand was Motorola Rokr E6 (amazon.com). Today’s world is different, everyone has a smartphone and/or a tablet. Well most of my friends in USA have both, and most in Nepal have at least a Google Android phone (if not Apple iPhone 3GS). Its all about “APP” and use of it across different platform – phone, tablet, computers to wrist watch (Pebble), Television, and Game Consoles (Xbox and PS3). Netflix now is available in 24 different platforms as per this Wikipedia post. The notion of single platform is fading away, and personal computer space is shrinking; divided into smaller gadgets and gizmos. Between the next wave of “Internet of things” and fading personal computers, now lies a swath of internet connected devices which all have one aim – convergence. Presently the might of Apple, Google, and Microsoft, are striving for operating system convergence and harmony. The prize for any technological powerhouse which achieves this is mind blowing. To have a single platform that manages across different platforms and devices, is in a way the holy grail of technology at present. Last few years has seen these major platform providers integrating different aspects of platform within each and slowly lurking towards ecosystem drive. The so called Post PC world has huge opportunities for consolidation. How big is the walled garden? It is not just hardware and/or software. The battle for convergence has escalated to contents. Here is the link to good read from David Cardinal in ExtremeTech from September 2012. 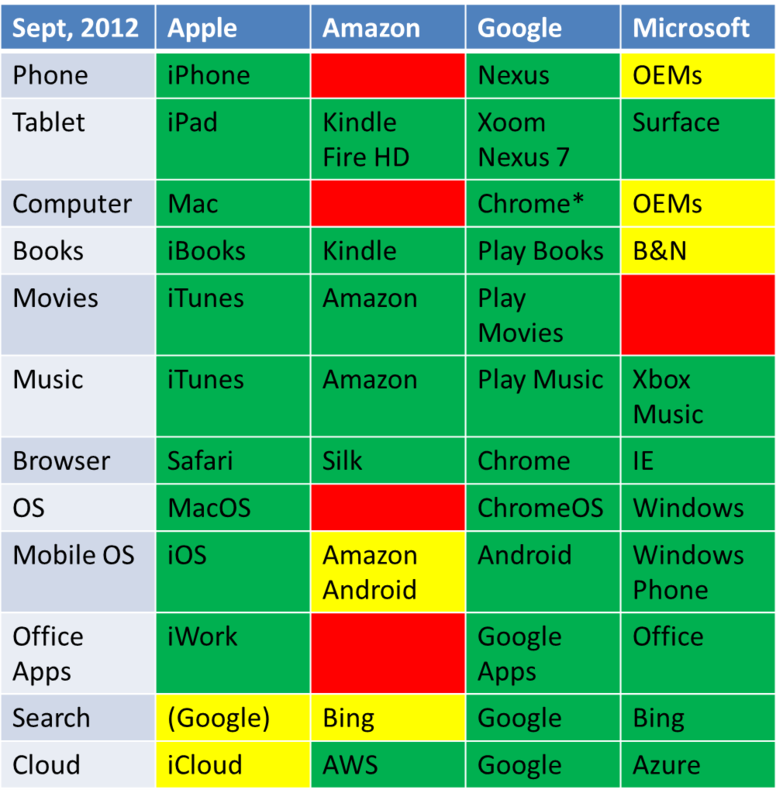 Few areas like Enterprise Cloud and Game Console are not talked about, but the table below is the gist of the convergence up until 2012. Can’t predict the outcome, but consumers are the ones with biggest wins. I believe it to be actually a double edge with are more wins and less loss in developed world. However, for developing world, the outcome is mostly unpredictable – and a great effort is underway to predict this war and its effect. Most if not all, are closed systems and are built upon the pillars that might not be fully democratic, open and reusable for those in developing world. Apple’s campaign is most successful, but is a walled garden. Android had its root in openness, and projects like CyanogenMod are living up to it. A closure look reveals a trend of crippled AOSP releases from Google in recent years. Amazon and Microsoft are further expanding upon their own close systems. I am not against close systems, I just want at least one viable open system in place to keep the balance. Looking for a viable alternate? All this writing got me hungry for more any open alternate. Wasn’t there a viable open system delivery content system that actually works? An open converged platform system (OCPS) or something? But before this, I needed to know what does it need for a converged platform to succeed. A little digging around and few bullet points did come up sanely. Companion experiences offering a very similar user experience across Phone, Personal Computers, Tablets, and Web browsers. App-to-App communication via a common internet data-hub. The ability to sync content (photos, music, movies) between the different screens, gadget management from PC or web. Ability to store emails, contacts and calendar entries into one common database. Sharing Lingua [Interoperability] Base features like kernel, multi-core processor support, sensor fusion, security model, network, and video and graphics technologies. If this is not possible, a web browser with standard internet features. Some Alternate – Convergent Eco-System. Ubuntu – The first thing I can pitch this way – at the moment is Ubuntu 14.04. Soon to be released in April 2014, this is one awaited convergent open source alternate on the hardware side. Well not completely open but open enough for my definition not being in the walled garden. For a feature freeze list visit here. OwnCloud – This is new for me. I am currently setting up a test bed for my own personal Owncloud Services. Here are ten reasons on why one should follow it. For some one who wants to setup his/her own Cloud Service – LifeHacker has a wonderful beginners guide to it. here. There are other alternates to OwnCloud itself. Here is a list. SparkleShare, Seafile, Pydio – Three products for personal and/or small group Cloud Services. finally the big elephants – AWS and/or OpenStack. – Am not going to deny it, I know very little about Enterprise Software, and will just push out the names and not go further. I know, it does something, but not sure its extend. Android – I have some reservations for this Google backed project. Its definitely the Windows XP for mobile right now, however – its not as open as it claims to be. Guardian has one specific article from January 2014 on the hidden costs of Android. here. Google does not charge for its Android software, but manufacturers have to pay specialist firms thousands to gain a licence to use it. Number one on my list – is Microsoft. Weird, but true. Another read from ArsTechnica from October 2013 explain the difference between Android AOSP and Google backed Apps. here. – – — There is also Firefox OS, Tizen Linux OS, and my favorite Maemo/Meego child – the Jolla/Sailfish OS. XMPP Standard Foundation/Jabber – The go to default of instant messaging. Google Chat had it until last year, before Hangout dropped XMPP for better or worse. I do not know how easy is it to convert Jabber into a unified messaging platform – but for now, from what I do know is its big use in Microsoft Chat, Lync Servers and Facebook Chat. The new (almost old) communication standard now is – WebRTC which is gaining huge momentum. Firefox and Chromium both support it now. With WebRTC, traditional telephony will soon be browser addon, and not a separate component. This is not just voice over internet, but text chats, media streaming (audio and video synchronization), and file synchronizations over network. Ogg (Vorbis and Theora) – These are the Audio and Video container file format like mp3 and mp4. Old and dying. Luckily Open Media projects have good days – WebM and WebP are gradually gaining some footholds. There is also Opus – which is in my watch list for the time. Opus is also an alternate container to voice chat protocols, very new, and highly flexible. There is also Speex – of which I have very little idea. Its a mobile first, cloud first world. Everything is software bound. – Satya Nadella, CEO – Microsoft. Firefox/Chromium/Opera – Not an alternate, but falls in this list for combined convergent ecosystem. Browsers are must. EAS Alternate – CardDAV is an address book client/server protocol designed to allow users to access and share contact data on a server. CalDAV, is an Internet standard allowing a client to access scheduling information on a remote server. It extends WebDAV (HTTP-based protocol for data manipulation) specification and uses iCalendar format for the data. Together with IMAP – this is a pretty strong EAS alternate for personal or small group sync. EAS = Exchange Active Sync from Microsoft. So what have we [in Nepal] got? We have very few of the above mentioned in Nepal. There ain’t a big enough software/hardware tech company to initiate this – as far as my knowledge goes. The developer community in Nepal is still premature and there hasn’t been a solid content farm from within Nepal that represents Nepali culture/language. I can safely say that this will take time; but hope may be right around the corner. Following are the three pillars which may help a Nepali tech establish itself to be a tech convergent in Nepal. [again this is my guess work]. These become difficult when the internet is itself converging the world culture. But there are some local examples throughout the world with solid footing. Not all of them are open sourced, but have a strong local representations. This will be is a detailed post, sometime in future. But for now, I list here some of the local content and services with strong “Nepal/i” in it, which might very well put into use for making a strong convergent eco-system on local and national level, or may be personal level. Nepali Keyboard and Bikram Sambat Calendar – A very very doable yet fragmented online entity. Something like this Nepali keyboard in Google Play Store. link. is a must for semi literate like me. Local Banking / Mobile Banking – Mobile software implementations, be it software based, or simple SMS text based. Mobile Messaging Application – Line is popular in Japan-Korea, WhatsApp in North America and Europe, WeChat is targeting Italy, Mexico and Brazil. Viber and Skype is popular in Nepal. Social-Cultural Aspects – For Nepal – Dashain, Tihar, Eid, Easter and them three or four New Years, etc. Information about these, and well to-do for the present generations is a big information hub. Disclosure – Yes, I am not an ideal brahmin, don’t do poojas and don’t speak/write Sansrit, rarely follow any gods/goddesses, have very little religious views. What I am, is a human, a doctor, and some one who needs to help at least 1000 people before I die [thats my todo in life]. Food – Local food, dish and dine. daal-bhaat-tarkari and mo:mos. I am surprised there is very little Nepali websites for good food. BuzzFeed – here is a wonderful article on 10 Gmail Hacks.